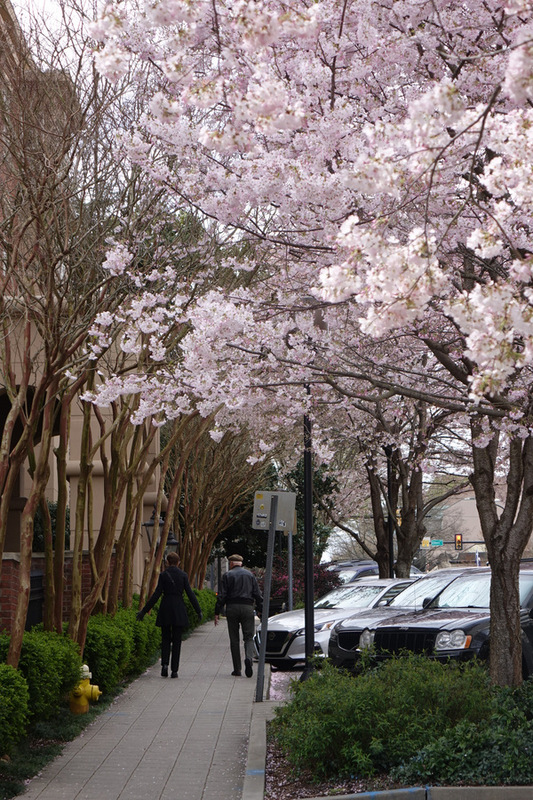 A tunnel of blooms on the sidewalk along North Main Street. 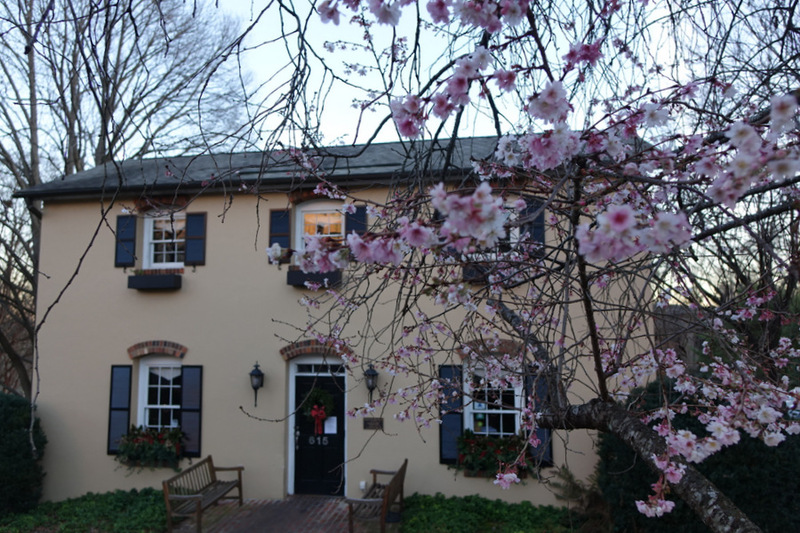 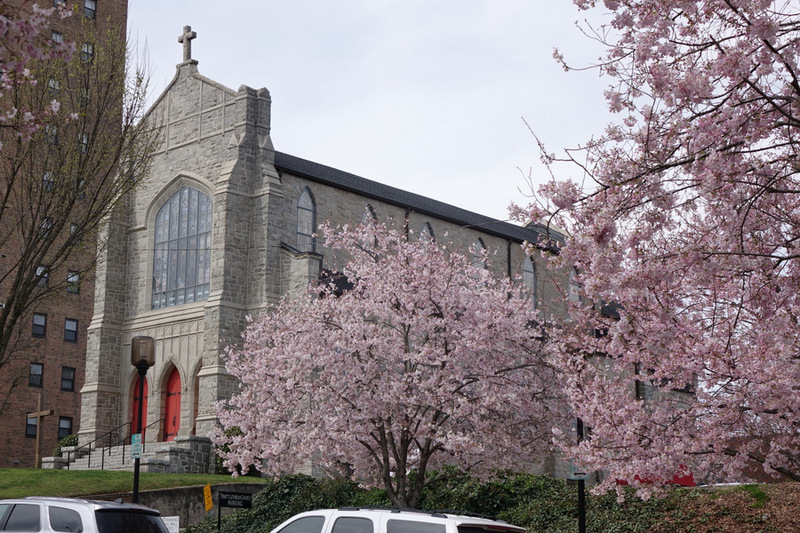 Spring is officially a few days away, but these trees on North Main Street near Trinity Lutheran Church are blooming already. 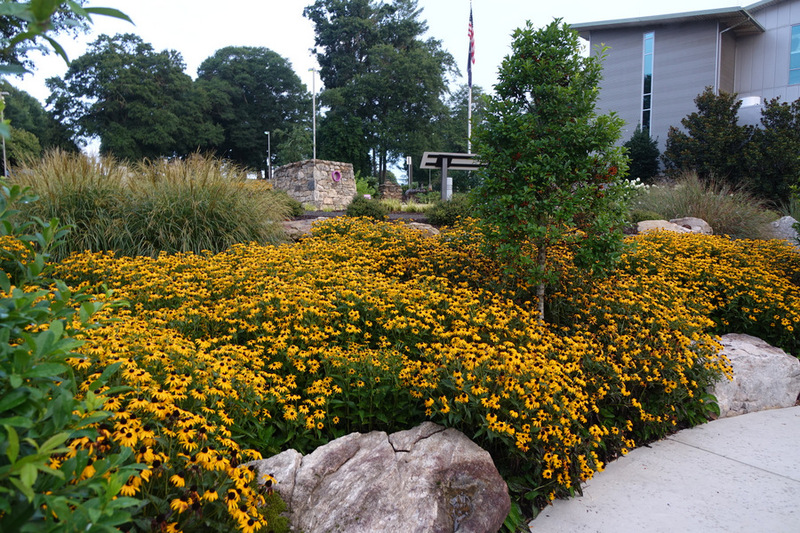 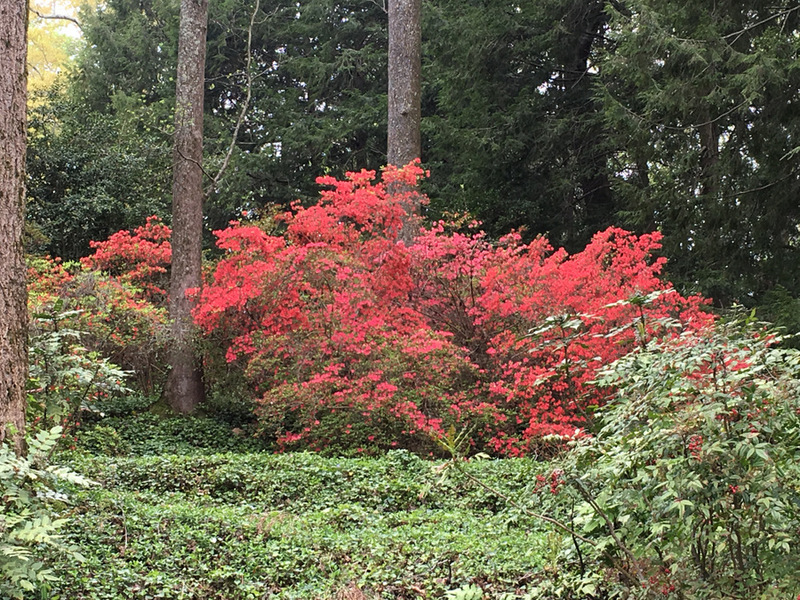 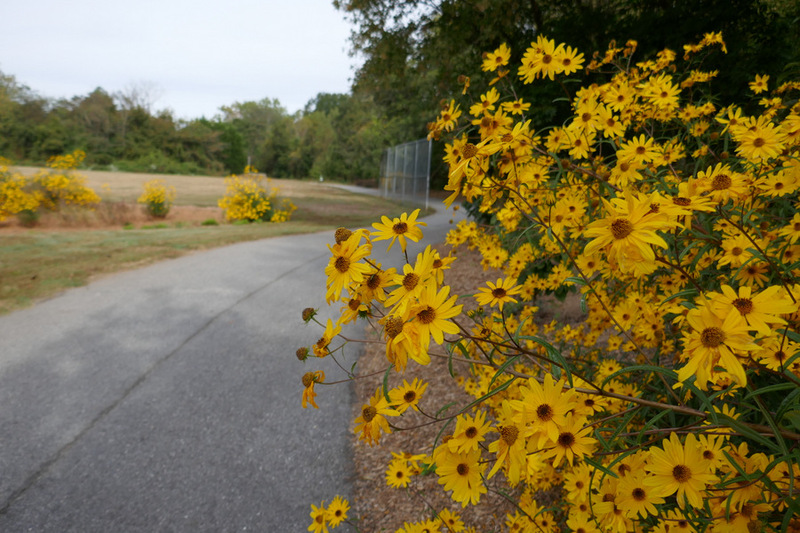 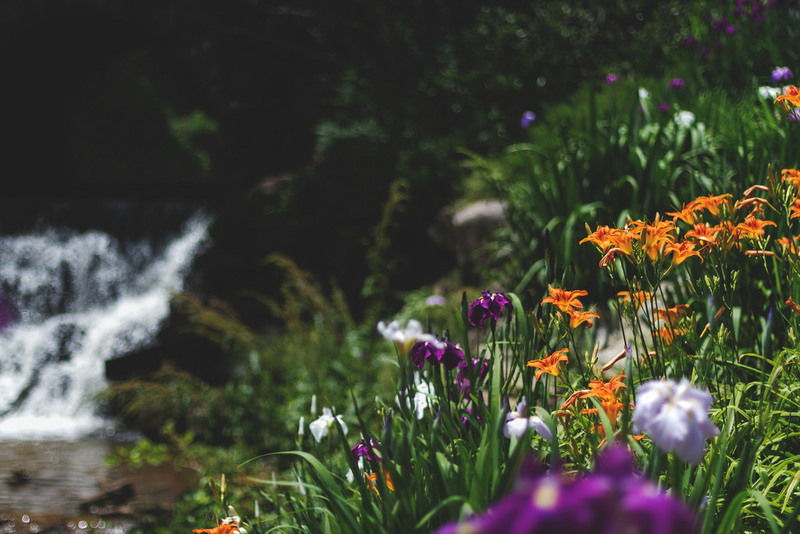 These fall flowers are in full bloom along the Swamp Rabbit Trail below the Greenville First Baptist Church. 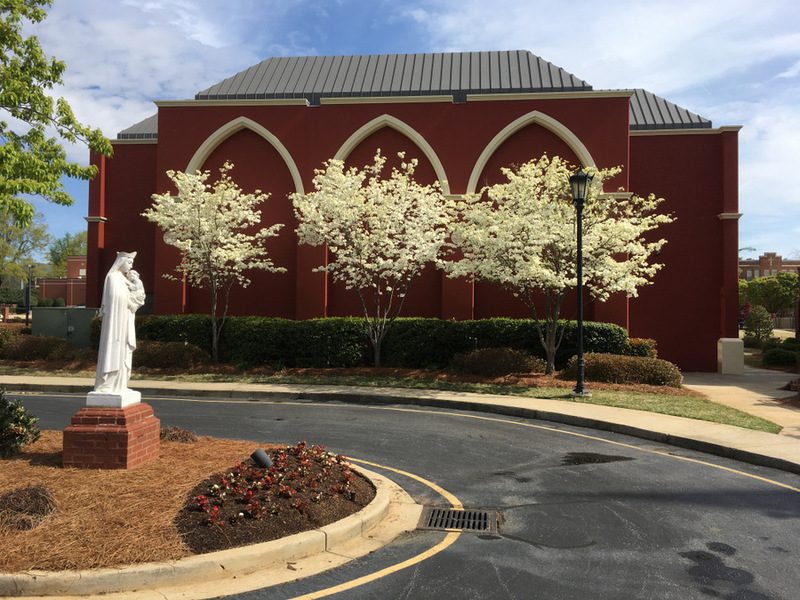 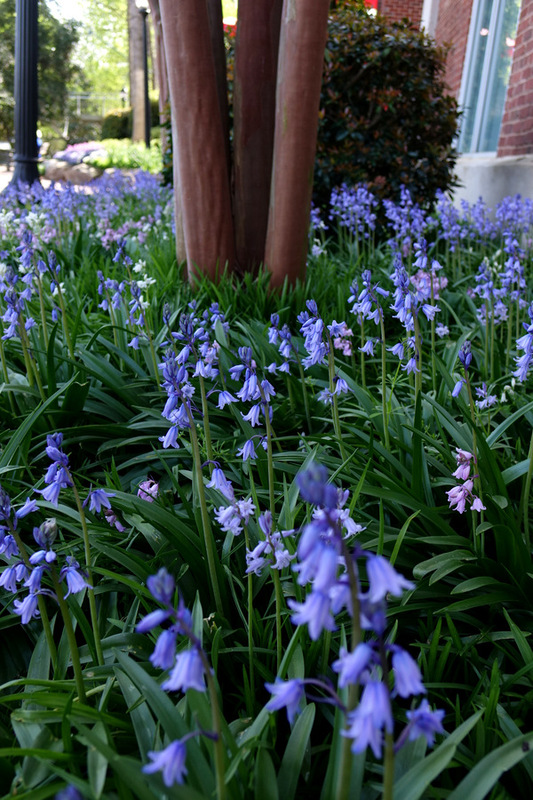 Spring has appeared in front of the St. Mary’s Catholic Church. 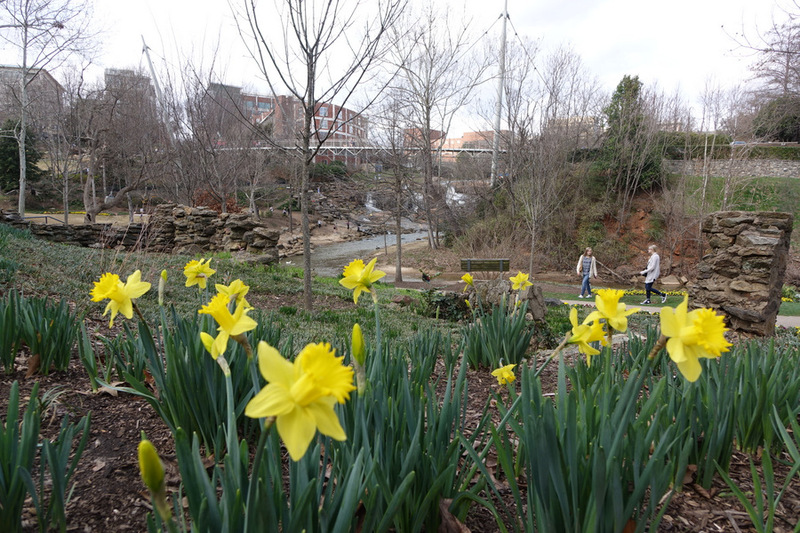 Some Daffodils in Falls Park have responded to the rain and warm weather to bloom.